Not something you would see everyday, this bag by Hermes is as innovative as it expensive. 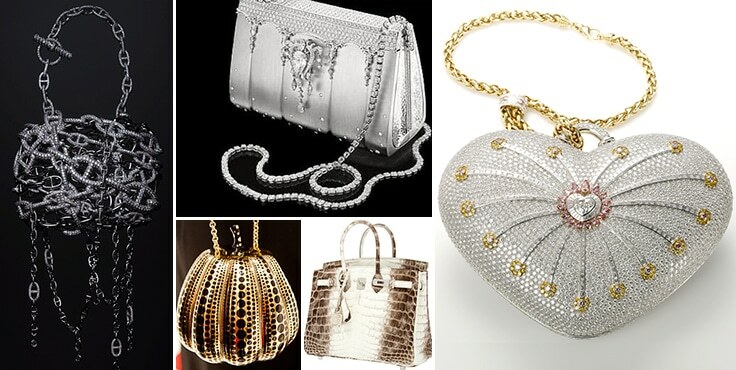 It constitutes of multiple white gold pieces studded all over the body of the bag in a design and 1160 diamonds. The diamonds alone weigh more than 33 carats. The Hermes Chaine d’ Ancre bag took more than two years to create and only three of these bags were made. Among Hermes’ Haute Bijouterie line, this Crocodile Birkin handbag is just as expensive as the Birkin Ginza Tanaka bag. 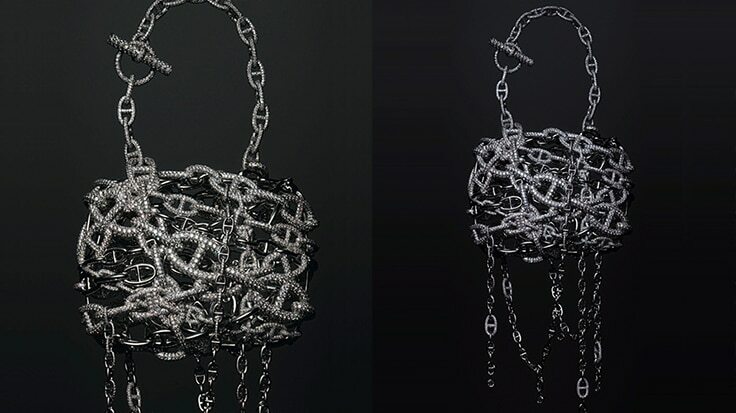 The bag constitutes of an entwining chain that has roughly over 11,000 diamonds set on it. 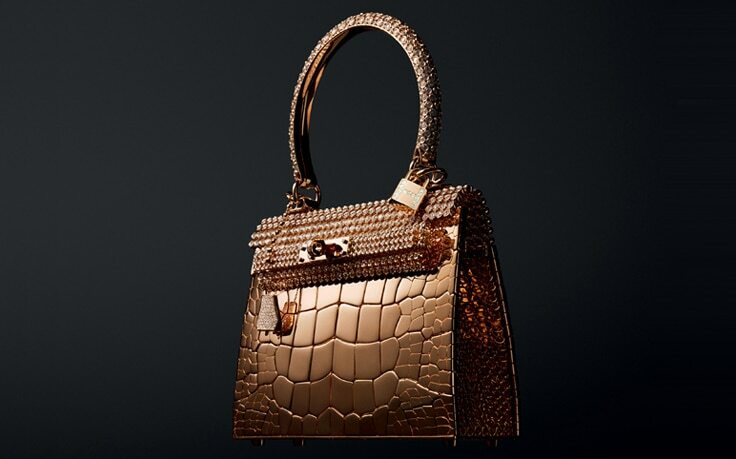 There is also a rose gold model of this bag which features a scaly design and has 1160 diamonds on it.